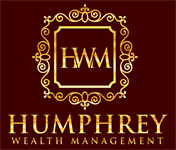 At Humphrey Wealth Management, we believe you should never have to worry about running out of money. For over 35 years, Stephen Humphrey has empowered investors to enjoy the retirement they always imagined. We accomplish this by providing a visual landscape of your entire financial life, so you always know where you stand. As an income specialist, Stephen is dedicated to helping you grow and preserve your assets so that you can have a reliable income stream through all stages of life. Whether you’re in the heart of your career, approaching retirement, or are already retired, we are committed to helping you live with strength and retire with confidence, knowing your future is in good hands.